Nicole here and today I'm sharing a Halloween card and gift bag project with you! As sad as it is, summer is over, fall is here and October is just days away. BUT...this means I can pull out those Halloween image stamps I only get to use once a year! How cute is this for the little ones in our families?! I began first by cutting a 4 1/4" x 5 1/2" card base out of black card stock. I then trimmed down a white piece of watercolor paper so there would be a black boarder around the edges. I went thru all of my Shimmerz Inklingz and Can't Elope, Honey do list and Beets Me were the perfect tones of orange, green and purple for Halloween! I wet my brush and applied water first to my piece of watercolor paper. I then added a little of each color to it on a diagonal. I made sure there was enough water so the colors blended slightly together on their own. As that dried, I cut the paper gift bag with my Silhouette Cameo and painted it the same way. This time, I only used white cardstock instead of watercolor paper. If you do this, be sure to not use as much water so the paper doesn't warp as much, pill or even tear. 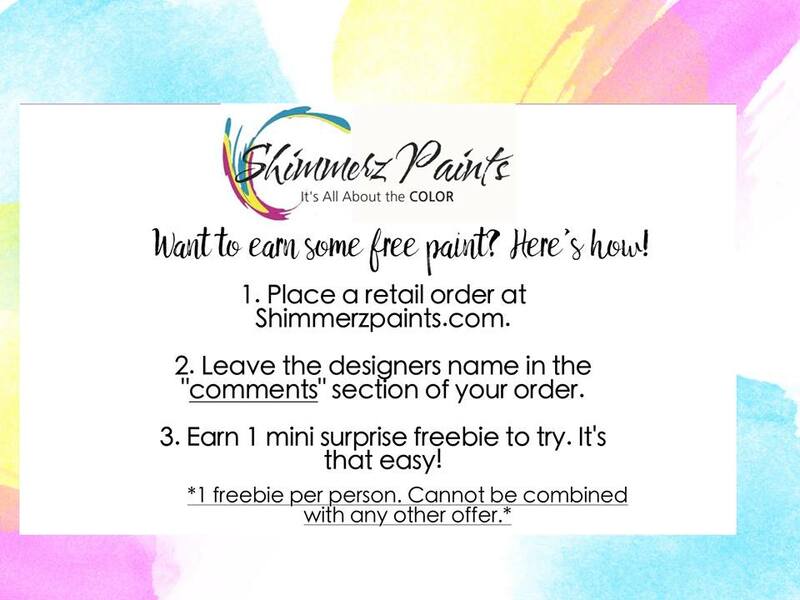 Please share with us on social media your Halloween projects featuring Shimmerz Paints! 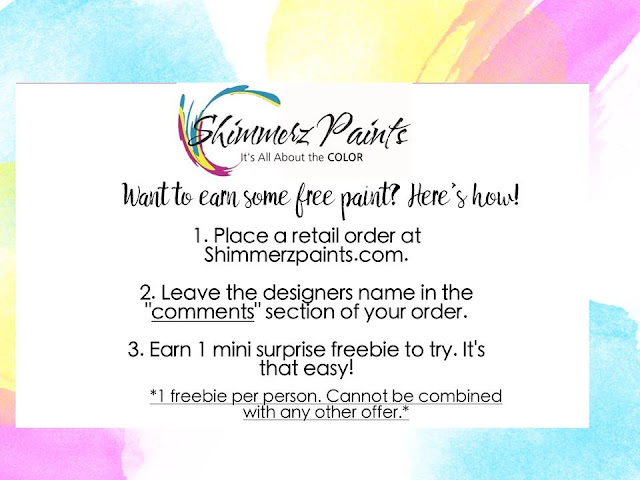 Don't have any Shimmerz?! Mention my name in the comments of your order and get a free-bee to add to your collection!